Reset Your Data – How can we help? 1. Click on Sell to get to your Sell Screen. 2. Click on Status. This will take you to the Status page. 3. When on the Status page, click on Reset Data. 4. You should see a warning about the implications of resetting your data. Click on Reset Data. 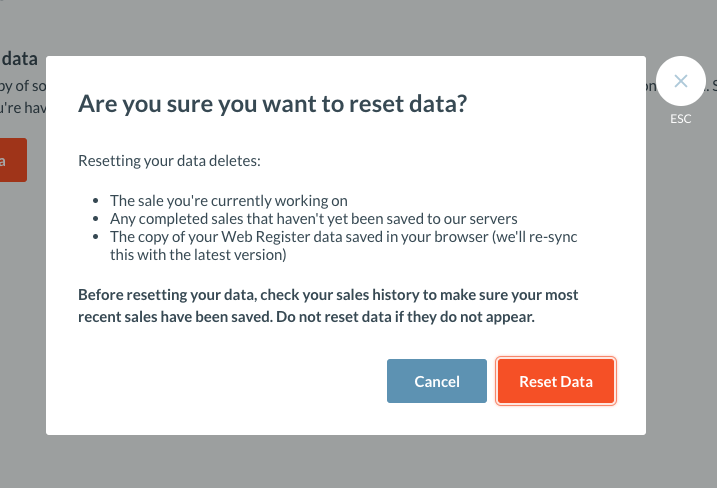 Note: Resetting your data will clear any open sales on your Sell Screen. Make sure to check your Sales History to make sure your most recent sales have been saved. 5. Navigate back to your Sell Screen to see if the issue you are experiencing has cleared.